Leeds United and Frank Warren are delighted to confirm the Kaiser Chiefs will be playing live at Elland Road, during the unmissable night of World Championship Boxing on Saturday 19th May. Josh Warrington is looking to become IBF Featherweight World Champion when he takes on Lee Selby, in what is set to be one of the biggest sporting events of the summer. 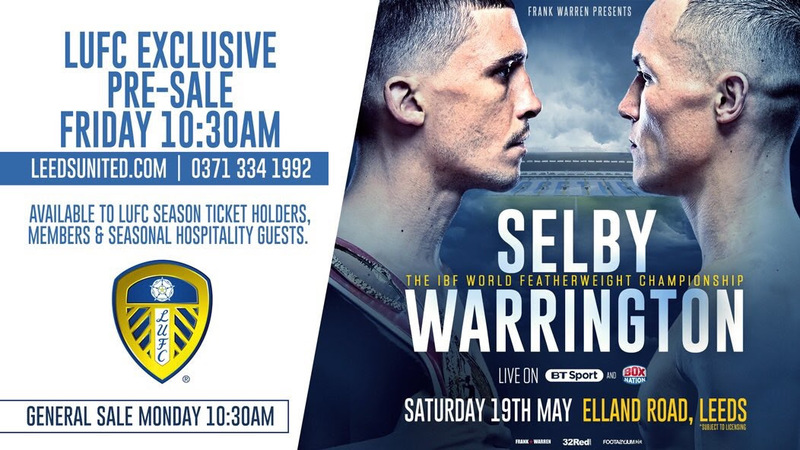 Warrington famously walks into his fights to ‘I Predict a Riot’ and the Leeds Warrior will enter the ring in May with the Kaiser Chiefs playing the track live at Elland Road. With six studio albums to their name, their first, ‘Employment’, released in March 2005, sold over two million copies alone. With a packed undercard, entertainment around the stadium and concourses, it promises to be a night to remember. Fans wishing to attend are encouraged to purchase tickets for this unmissable event as soon as possible, to avoid disappointment. Further pre-fight entertainment will be announced in the coming weeks.